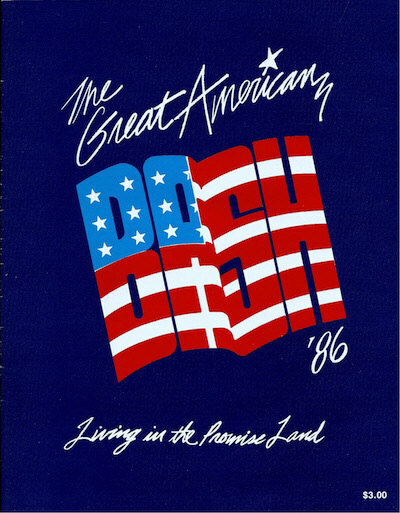 In 1986, Jim Crockett Promotions took their amazing "Great American Bash" concept from 1985 and expanded it to a big month long tour. One of the features of this tour was that Ric Flair would defend his NWA World Heavyweight Championship at each of the Bash events. Challengers included Ricky Morton, Road Warrior Hawk, Ron Garvin, Nikita Koloff, Robert Gibson, Road Warrior Animal, Magnum T.A., Wahoo McDaniel and Dusty Rhodes. Rhodes defeated Flair for the title at the July 26 Bash in Greensboro. Flair was the challenger for Rhodes' title the very last last Bash event in on 8/2 in Atlanta. Nikita Koloff and Magnum T.A. were involved in a best of seven title match series throughout the Bash for the U.S. Title, that didn't actually conclude until a couple weeks after the Bash tour had ended. Other features of the Great American Bash tour were country music concerts, sky divers, and fireworks. July 3 in Washington, D.C. But did the Bash '86 tour wind up looking a little different that had been originally planned when Dusty was conceiving of the whole thing? I've always maintained the idea that the original plan going into the Bashes that year was for Dusty to win the NWA title in Atlanta on the last night of the Bash tour, and for Nikita to win the U.S. title in the Best-of-7 series at that final Bash, too. 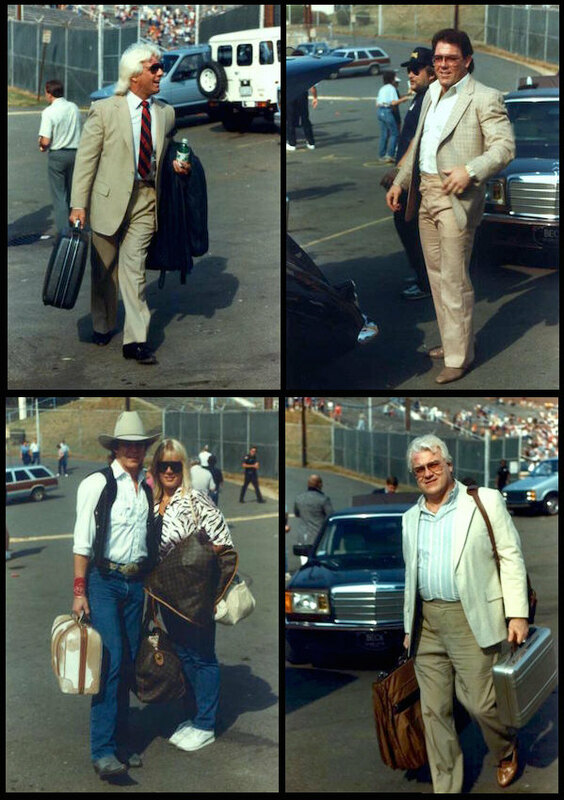 If you know Dusty's well documented flair for the dramatic (if you'll pardon the pun), you certainly can see that this great tour was planned to come to an end in their second capitol city of Atlanta in front of a huge crowd at Atlanta's Fulton County Stadium. There was only one problem: the Bash in Atlanta had a poor advance in the weeks leading up to it, and I've always believed that Dusty changed the plan and moved up his NWA title win to the show a week earlier in Greensboro. Even though the Atlanta Bash drew in the neighborhood of 10,000 fans, which isn't a bad house if it were an arena show, when the camera goes wide in a stadium that holds over 60,000 people, Dusty knew a stadium only 17% full wasn't going to be the visual he wanted. Ever wonder why they never showed footage clips from Atlanta on WTBS after the Bash? That might be the reason for that, too. As mentioned above, the Best-of-7 Series between Magnum and Nikita for the U.S. championship ended well after the Bash tour was over. The final two in that series happened in the weeks after the Atlanta finale to the tour. Some of that had to do with Magnum suffering a rib injury early in the series, and they may have changed line-ups a bit to accommodate him a week or so before the series continued so that he could heal up. In the meantime he was in tags or six-man matches. After the third match in the series in Roanoke on July 11 (which Nikita won and led the series at that point 3-0), they didn't wrestle again until the Greensboro show on 7/26. (There may have been another match between those dates that was thrown out due to a controversial or non-finish.) But the poor advance in Atlanta might have had something to do with delaying the finish to the series, too. In the end, it worked out for the best. Dusty certainly got the visuals he was looking for in the alternate plans (if indeed they were) as a sold-out, jammed to the rafters Greensboro Coliseum popped HUGE for the Dusty win. And the final two matches of the Best-of-7 Series between Magnum and Nikita made for some of the most dramatic TV that summer on World Wide Wrestling, especially the amazing match in Asheville, NC where Magnum, fighting back from a 0-3 deficit, tied the series 3-3 in one of the most dramatic and well executed finishes you'll ever see, ending with Magnum falling back into and adoring crowd at ringside after the win. These are all great memories of an amazing time for Jim Crockett Promotions when business was so hot and almost everything they did turned to gold. And lots of green, too. Check out these behind the Scenes Photos at The Great American Bash. Learn all about the Best-of-7 Series between Magnum T.A. and Nikita Koloff for the United States title at the Great American Bash in the book "Jim Crockett Promotions' United States Championship." Former United States champions Paul Jones, Magnum T.A., Tully Blanchard, Lex Luger, and many other superstars from the glory days of Mid-Atlantic Championship Wrestling and the National Wrestling Alliance will be appearing at the Mid-Atlantic Wrestling Legends Fanfest Weekend in Charlotte this August! Click the graphic below for more information!